give an overview of some topical case studies, legal issues and wider industry trends in the context of sport’s digital revolution. Chris Paget and Jonny Madill are lawyers in the Sports Group at Sheridans. They advise domestic and international sports clients, including federations, governing bodies, leagues, clubs, agents and agencies, athletes, sports tech companies and esports brands. Chris and Jonny specialise in commercial, technology, digital, regulatory, governance, disciplinary and dispute resolution matters within the sports sector. They work with and within a wide range of sports including football, rugby union and league, cricket, athletics, tennis, golf, hockey, cycling, netball and esports. 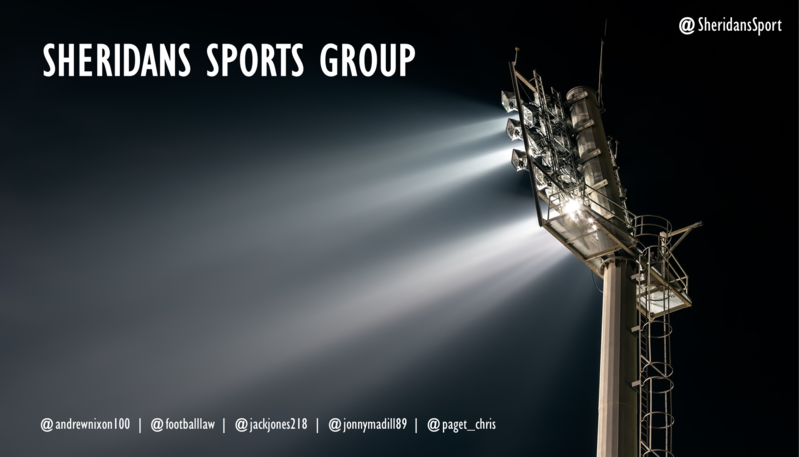 Chris and Jonny co-lead the Sheridans Digital Sport Group, have written for numerous sports publications and regularly speak at sports industry conferences on a variety of matters. They are co-editors of the Sheridans Sports blog, the ‘BackPage’. You can contact Chris at cpaget@Sheridans.co.uk and follow him on Twitter at www.twitter.com/paget_chris. Madill, J. (24 November 2016). Driving fan engagement in the digital age: what digital disruption really means for sport. Medium.com.